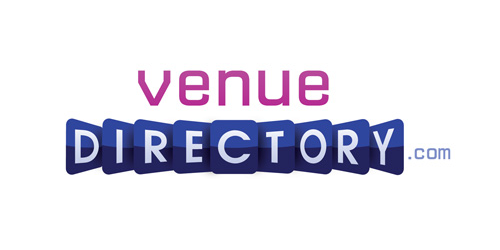 In order to fulfil an increasing demand for innovative ways to display information online, venuedirectory.com is now presenting ‘vFloorplan’ to their clients. venuedirectory.com offers you this fantastic way to display a believable visualisation of existing venues, new building projects and refurbishment/remodelling by using computer generated imagery (CGI) made by vFloorplan. This revolutionary service can make venues versatile and easy to promote as they will be able to show how rooms can be laid out, reveal new designs and concept ideas. The image below is not a photo! 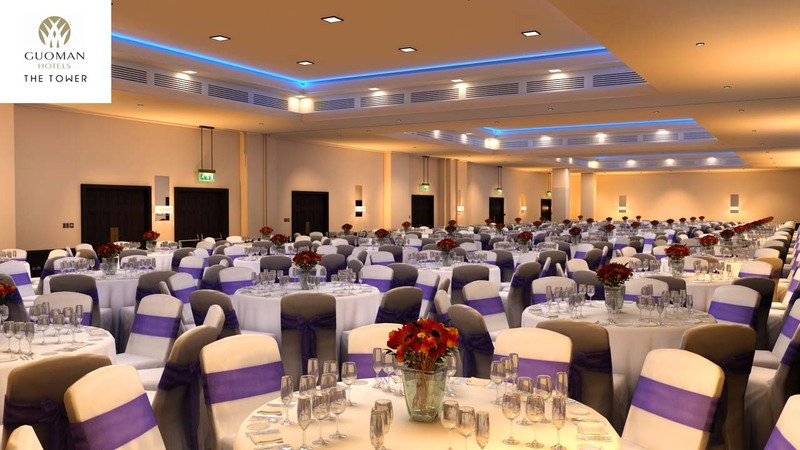 It’s a CGI visualisation of the Tower Suite at The Tower hotel showing one room layout – banquet style. A 360 can now also be supplied within the CGI. It is well known that realistic images can be seared into our minds without the need for further information. We think that your venue’s website or online listing could be highly enhanced with an outstanding visual presentation of how each room of your venue can be laid out. 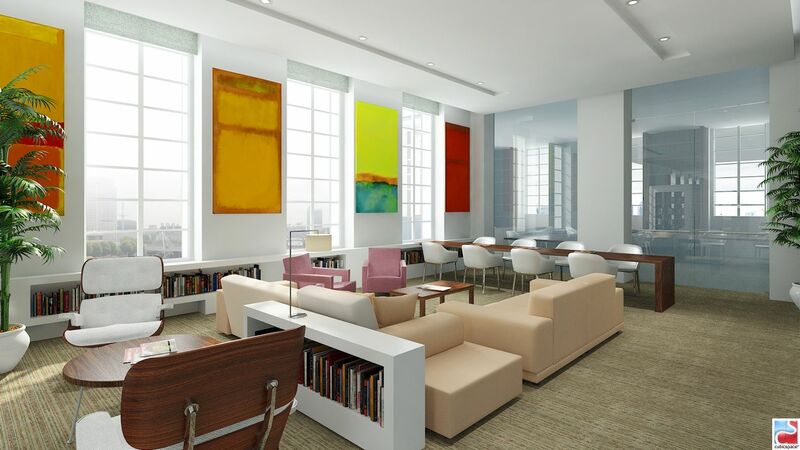 A realistic computer generated model in 3D of your actual venue with furniture and decoration features will help you to create a great impression, generate more engagement on your website and increase your conversion rate. Rather than trying to explain in words how your venue will look, you’d be able to use a credible CGI in 3D in order to help your clients visualise how the meeting spaces in your venue can be utilised to suit their needs, even if the facilities are not in a viewable state or uncompleted. Enabling venues including sports stadiums, to showcase what they have and where their rooms are within their venue, by displaying an interactive ‘vFloorplan’, and with vFloorplan Layout Views’ (individual “zoomed” room layouts – in use at Arsenal FC Emirates). These enable venues to be versatile, showing how rooms are laid out, whilst still providing features, figures and data directly from the same screen. Furthermore, it can be digitally and easily conveyed to the venue website whilst remaining mobile-responsive. 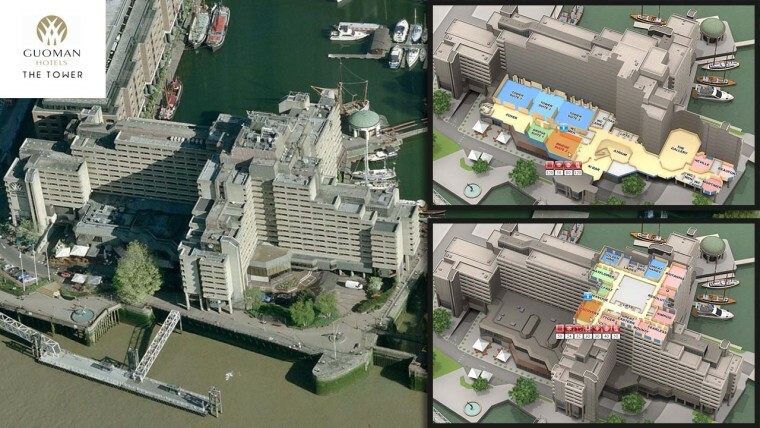 Here is The Tower Hotel and the vFloorplan cutaways currently on their website.